Dialling #31 to display the number. You can also use Connect, to change the number that is displayed on outbound calls, to any of your essensys phone numbers. 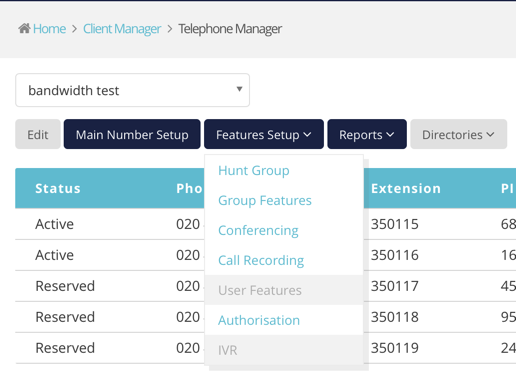 In Telephone Manager, click on the phone number, and select User Features from the drop down menu. You can then go to the CLI option, and choose to display any of your numbers as the outgoing CLI.